Dark Tresnjak directs a new musical adaptation of Anastasia, inspired by the 1956 and 1997 (animated) films May 12-June 12. 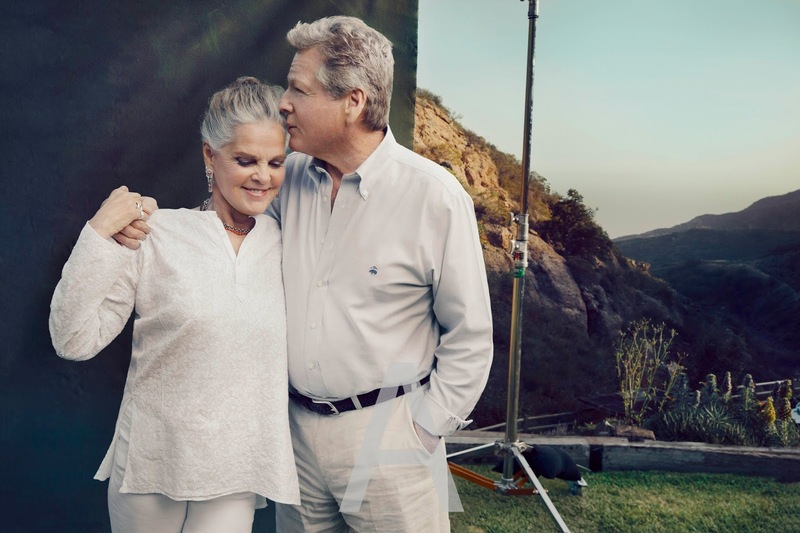 The project has received a $10,000 National Endowment for the Arts award and reunites Ragtime creatives Terrence McNally (book), Stephen Flaherty (music), and Lynn Ahrens (lyrics). Joshua Bergasse will choreograph. Flaherty and Ahrens also co-wrote On the Town Once on This Island, Seussical, My Favorite Year and Rocky. The songwriting team was nominated for the Academy Award for “Journey to the Past” from the animated film Anastasia. I wouldn’t be surprised to hear that Anastasia will make a transfer to Broadway and put Tresnjak in the running for another shot at the Tony Award for Best Direction of a Musical (he won the Tony, Drama Desk and Outer Critics awards for A Gentleman’s Guide to Love and Murder, which also premiered at Hartford Stage). 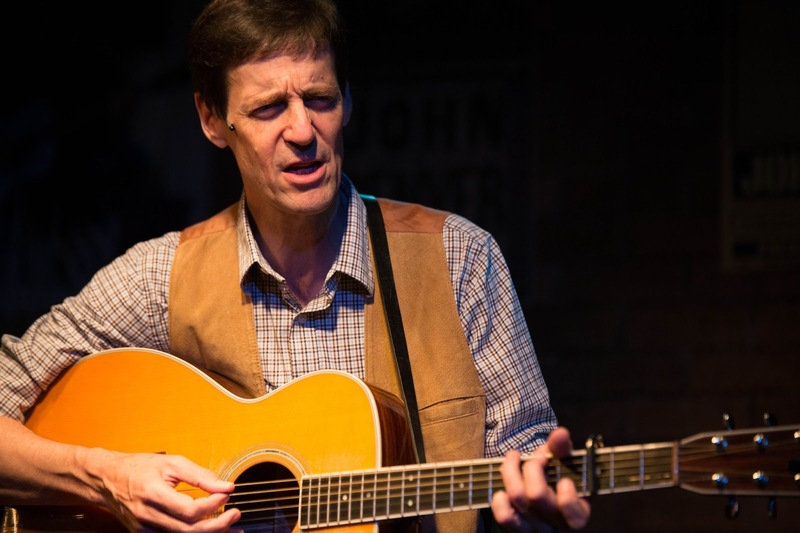 One of my favorite Off-Broadway experiences gets a staging at TheaterWorks Jan.8- Feb. 14. Buyer and Cellar by Jonathan Tolins is a riotous story of a wannabe actor who gets hired for an unusual acting job: he portrays a variety of salespeople in a mall built under the Malibu home of Barbra Streisand. She houses a number of collections in make-believe stores in her cellar where she pretends to shop. It’s bizarre and even funnier because there’s some truth poking through – Streisand really does have some shops at home as she tells in her book, “My Passion for Design,” which plays a role in the script. I laughed all the way through this show in New York and still enjoy Streisand’s book, which I received as a gift from my theater companion who was inspired to buy it for us following the show. Tom Lenk, best known for his work on TV’s “Buffy the Vampire Slayer,” stars. The Moors by Jen Silverman and directed by Jackson Gay, gets its world premiere Jan. 29–Feb. 20. Two spinster sisters—one desperately unhappy, the other resolutely miserable—live with their elder brother and their dog in a gloomy, old mansion on the moors (sound familiar?) Gothic romance, a governess and even a little dark comedy are on tap. The play received a 2015 Edgerton Foundation New American Plays Award. The Lion, one of last season’s most talked about shows Off-Broadway -- it won the Drama Desk Award for Outstanding Solo Performance -- makes a tour stop in New Haven Jan. 6-Feb. 7. Written and performed by Benjamin Scheuer, it is one man’s gripping coming-of-age story (to the tune of six guitars). I also am looking forward to a new musical, My Paris, about the life of Henri de Toulouse-Lautrec with music and lyrics by Charles Aznavour. The book is by Pulitzer-Prize winner Alfred Uhry (Driving Miss Daisy) with English Lyrics and Musical Adaptation by Jason Robert Brown (The Last Five Years, The Bridges of Madison County). 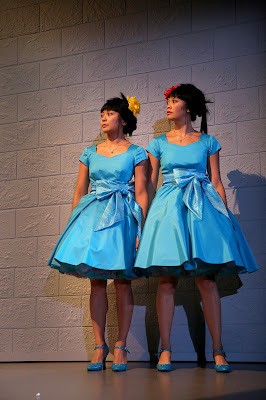 Directed and Choreographed by Kathleen Marshall, this musical replaces the previously announced Shining City May 4 – 29. Be on the cutting edge and experience what might be tomorrow’s big hit today. The 11th annual Goodspeed Festival of New Musicals offers three days of brand-new works Jan. 15-17. Highlights include a staged reading of a new Southern Gothic musical, We Foxes, by Ryan Scott Oliver, the musical comedy Milo at the Movies by Tom Diggs and Mark Gaylord and Only Anne by John Dietrich and Will Buck. Special guests include Alfred Uhry, Michael Riedel, Rick Miramontez, Michael Weiner, Alan Zachary and Colin McEnroe. A new adaptation of Jane Austen’s first published novel, Sense and Sensibility, will take the stage at UConn Feb. 25-March 6. The penniless Dashwood sisters, one sensible, one full of passion, find love and happiness via different paths. This version is co-written by Joseph Hanreddy and J.R. Sullivan, the same writing team behind CRT’s Pride and Prejudice in 2012. 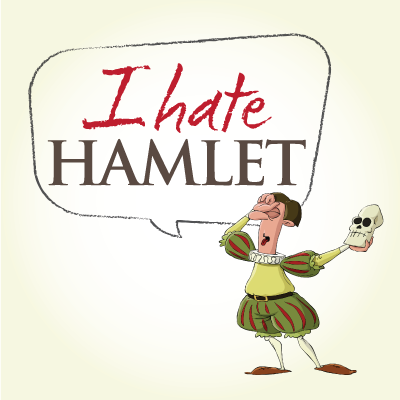 Coming off a fabulous production of Passing Strange, this up-and-coming theater company presents an interesting-sounding show called I Hate Hamlet by Paul Rudnick. Directed by Vince Tycer, Feb. 24-March 13. A successful TV actor is offered the role of Hamlet on stage. A couple of problems present themselves, however: he hates Hamlet and John Barrymore’s ghost is haunting him. From Ayad Akhtar, the Pulitzer Prize winning playwright of Disgraced, comes The Invisible Hand July 19 - Aug 6.When an American futures trader is kidnapped and held hostage in Pakistan, he knows the only way to get home is to do what he does best: play the market like his life depends on it. David Kennedy directs. A favorite (and I am not alone -- it won the Tony for Best Play -- ), Vanya and Sonia and Masha and Spike, by Christopher Durang gets a run Feb. 26-March 13. It's a send up of Chekhov, but this play is actually entertaining (sorry, not a Chekhov fan).... A brother and sister get a visit form their famous movie-star sister who arrives with her boy-toy, Spike, Lots of heavy thinking, angst, birds and laughs ensue. Two world premieres are coming up at this Waterbury theater. Local playwright Jacques Lamarre's Born Fat about Waterbury author Elizabeth Petruccione gets a world premiere staging Jan. 15-31. April Woodall stars; Steve Ginsburg directs. Burning Desire (Feb. 18-March 13) stars Lou Diamond Phillips ("La Bamba," "Stand and Deliver," "The 33") in a story about the devil and a modern-day Adam and Eve. Another pleasant trip back to the 1970s will spin BeeGees tunes and if I'm not mistaken, some disco ball refelctions in a musical version of Saturday Night Fever Feb. 19-20. The story (made famous in the 1977 movie starring John Travolta) of a kid who loves to dance and the girl who loves to dance whom he loves...... is iconic. Theatergoers will be able to have an interactive experience as well with a Post-Show Disco Dance Party at the theater's Poli Club following the Friday and Saturday evening performances of the show. In 1964, the beloved stop-motion animated television classic, Rudolph the Red-Nosed Reindeer, made its network television debut delighting audiences across the country. Fifty years later, the long-running TV special comes to life, live on stage with Rudolph the Red-Nosed Reindeer: The Musical, featuring the world’s most famous reindeer and a holly jolly cast of iconic characters. Rudolph and his beloved friends, including Hermey the Elf, Yukon Cornelius and the Abominable Snow Monster, help Santa save Christmas this holiday season. The production plays The Bushnell’s Mortensen Hall Dec. 11 – 14. Performances are Friday at 7 pm; Saturday and Sunday at 10 am, 1 om and 4 pm; Monday at 10 am. Ticket prices start at $16: www.bushnell.org; 860-987-5900. The Sunday, December 13 10:00 a.m. show is a sensory-friendly performance. Use the code SENSORY15 when purchasing tickets for the sensory-friendly performance of Rudolph. Full of Christmas Cheer with The Four Freshmen., who perform with the same unmistakable sound of the original group – a vocal harmony like no other. They have strongly influenced many groups over the years including Take Six, Manhattan Transfer and the Beach Boys. As the 22nd incarnation of the one and only Four Freshmen, their longevity proves they are doing it right! Eileen Ivers captures the spirit and magic of the season in her heartwarming Christmas holiday show. The program of American and Irish songs, original tunes and holiday favorites, arranged with Eileen's unique style, are centered around the true meaning of Christmas. Eileen and the band joyfully perform diverse music from gospel-style "Go Tell It On The Mountain", to Gaelic classic "Don Oiche Ud i mBeithil" (One Night in Bethlehem), to a jigified version of Bach's "Jesu Joy", to the hornpipe that evolved into today's "Deck the Halls...", to a very unique "The Little Drummer Boy" performed on the traditional bodhran goat skinned drum... A concert for the whole family. Participate in the sounds of the season with a Kate holiday tradition. Open to all who want to sing-along, the Messiah Sing combines Cappella Cantorum’s professional soloists with a chorus of talented volunteers. Sit in the back and listen or sit down front and participate. Singers should arrive at 3:30 for section seating and rehearsal. Sit in the back and listen. Ladies looking for a fun and festive break from the hustle and bustle of the holiday season need to look no further than the Palace Theater’s presentation of the new must-see holiday stage show ‘TWAS A GIRLS NIGHT BEFORE CHRISTMAS: THE MUSICAL on Thursday, Dec. 10, at 7:30 p.m. Tickets for the musical comedy are $45 and can be purchased by phone at 203-346-2000, online at www.palacetheaterct.org, or in person at the Box Office, 100 East Main St. in Waterbury. The latest brainchild from the producers of the box office smash Girls Night: The Musical, this all-new Christmas sequel features the same five characters that audiences across the globe have come to know and love gathering for a night on the town to laugh, cry, gossip and let their hair down during the craziest time of the year: the holidays. ‘TWAS GIRLS NIGHT BEFORE CHRISTMAS will feature the same touching and hilarious writing by Louise Roche that has entertained audiences worldwide, in addition to classic Christmas songs and contemporary hits that will have the audience singing and dancing along. The musical is guaranteed to resonate with anyone who has survived the holiday season, from long visits with in-laws to overcrowded malls. As a special holiday promotion, the Palace Theater and ‘TWAS GIRLS NIGHT BEFORE CHRISTMAS are partnering with Make-A-Wish ® Connecticut and iHeartMedia to help make the wishes of children with life-threatening illnesses come true. From now until the night of the show, customers and patrons are encouraged to stop by the Palace’s Box Office lobby to fill out a “Letter to Santa” and drop it inside the theater’s red mailbox display. For every letter received, Macy’s will donate one dollar to the Make-A-Wish ® Foundation. For more information on the Palace Theater’s presentation of ‘TWAS GIRLS NIGHT BEFORE CHRISTMAS, which is sponsored in part by Thomaston Savings Bank Foundation, Adam Broderick Salon and Spa, and Elizabeth Ricard, visit www.palacetheaterct.org. Twelfth Night is one of my favorite of Shakespeare’s plays, but it also is one of the most often produced. It seems as though I have to review a production of this comedy about a shipwreck, mistaken identity and unrequited love at least once a season. 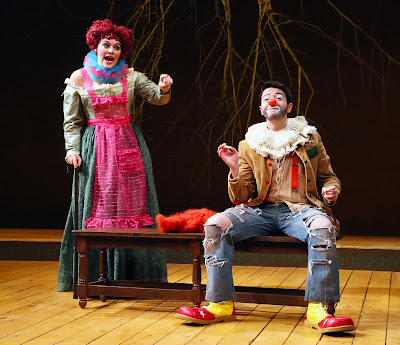 The production at CT Repertory, directed by Victor Maog, is rather matter-of-fact and features a mostly student cast still learning how to let Shakespeare’s language flow easily off their tongues (Voice and Text Coaching by David Alan Stern). The set design is simple, but sometimes confusing – why is there a large uprooted tree hanging upside down throughout? I won’t take time here to list the plot – there are Sparks Notes if you haven’t read multiple reviews about Twelfth Night or if you can’t follow what is happening on stage because of the uneven flow in this production. Equity actors Richard Ruiz as Sir Toby and Andrew Ramcharan Guilarte as Malvolio anchor the cast and lend some much needed humor. Ruiz will be recognized by Connecticut theatergoers for roles in The Winter’s Tale at Yale Rep, Room Service at Westport Country Playhouse as well as his turns at CT Rep as Alfred Doolittle in My Fair Lady and Sancho in Man of La Mancha. You might recognize Guilarte from numerous TV roles. His entrances down the stairs are highlights. Love the Christmas theme. “Historically, the twelve days after Christmas Eve were a time of celebration, role reversal, and saying goodbye to the customary way of life,” according to Dramaturg Molly Hamilton. “Between the pranking, the masquerading, and the abundance of festivity there is definitely much more to this play than what meets the eye.” Perfect! Calvo incorporates Christmas trees in the set design and Maog has characters singing, humming and playing tunes. In addition, notes from carols facilitate scene changes (sound design by Abigail Golec). There’s a touch of puppetry and Kevin Hilversum shows off a neat coin-catching trick as Feste. Twelfth Night runs through Dec. 13 at the Nafe Katter Theatre on the UConn Storrs campus. Evening performances start at 7:30 Wednesdays and Thursdays, and at 8 Fridays and Saturdays. Select matinee performances start at 2 pm Saturdays and Sundays. Tickets are $7 to $30 with student tickets for $7: (860) 486-2113; www.crt.uconn.edu. Fiasco Theater has measured out fresh ingredients to come up with a delicious recipe for presenting one of William Shakespeare’s problem plays – a Measure for Measure that’s verily a treasure over at Long Wharf Theatre. With just six actors playing all of the parts, this not-quite-a comedy, not-quite a tragedy brings a whole new way of sampling Shakespeare to the table. My compliments to the chefs: directors Noah Brody and Ben Steinfeld, who also perform in the ensemble. It’s modern, but true to form (with costumes designed by Whitney Locher that blend old and new styles) offering a unique presentation on a stark set (Derek McLane makes remarkable use of six moving doors and a few props) with brilliant lighting designed by Christopher Akerind. Actors exiting the action sit upstage, often contributing sound effects or music on a number of instruments. To begin each act, the ensemble sings beautiful Renaissance-sounding acapella harmonies to enhance a lively and fresh interpretation of the classic. The story follows Isabella (Emily Young), who abandons plans to become a nun when her brother, Claudio (Brody), is arrested for getting his lover pregnant. Angelo (Paul. L. Coffey), in charge during the absence of the Duke (Andy Grotelueschen), has decreed that such moral failing is punishable by death. Not all sin in Vienna is bad in Angelo’s eyes, however, as the lustful official offers to trade Claudio’s life for Isabella’s chastity. She doesn’t acquiesce, however, and seeks the help of a friar (the duke in disguise) and Angelo’s former fiancée, Mariana (Jessie Austrian), to save her brother and her virtue. Rounding out the cast is Steinfeld as Lucio, a foppish man caught in the middle of it all. New clarity and sharpness of focus made me want to stand and applaud the direction several times. All performances are excellent and transitions are made between characters without confusion. And that set really is brilliant: A filigreed metal door becoming a confessional with the addition of a few candles, then transforming into a cell gate with exceptional lighting was a highlight. The more modern feel of the production turns our minds to contemporary headlines about politicians and religious leaders who advocate for strict moral codes, but who like Angelo, behave opposite of what they preach (and the show’s program offers some thoughts on some specific examples which have made headlines). Fiasco Theater is an ensemble company created by graduates of the Brown University/Trinity Repertory MFA acting program. 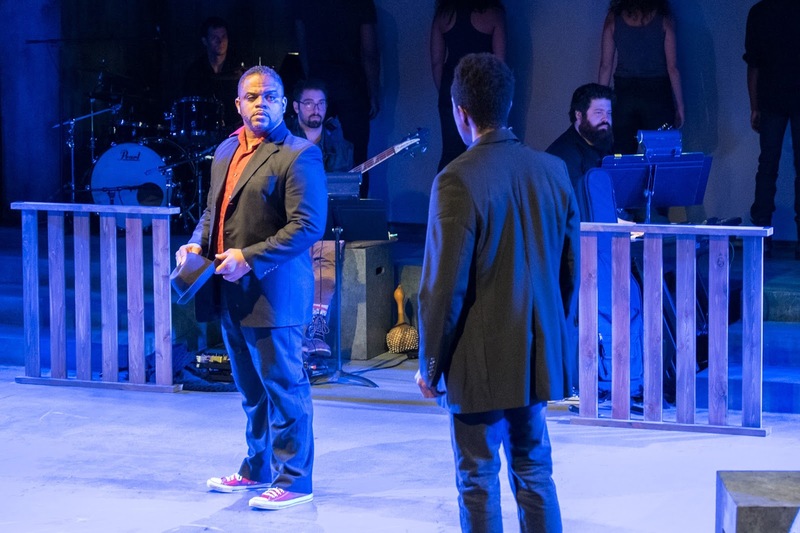 This production of Measure for Measure originally was developed and produced at New Victory Theater. Measure for Measure plays through Dec. 20 at Long Wharf Theatre, 222 Sargent Drive, New Haven. Performances are Tuesday and Wednesday at 7 pm; Thursday, Friday, Saturday at 8 pm; Matinees Wednesday and Sunday at 2 pm, Saturdays at 3 pm. Tickets $25-$85: 203-787-4282; www.longwharf.org.